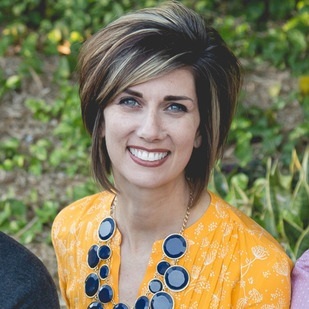 Jennifer is a pastor’s wife, author, mother, daughter, friend…. well, many of the same things you probably are, dear reader! Throughout 2019, we’ll read through the Bible in chronological order – a post for each day’s reading, and we’ll finish the entire Bible in one year. Want to come along on the journey? A new post every morning at 7:00am! If you would like to follow, click on the button down in the right hand corner! Following 🙂 Happy New Year! Hey, Happy New Year! How do I follow from my mobile? I don’t see the follow button. Job chapter 16 is a cry for help indeed. Job is telling his so called comforters if the roles were reversed Job would be talking encouragement and lift up theirs spirits. Job is now asking GOD why has he been beaten down so much that his blood is wetting the ground knowing he is innocent and his prayers are pure. Job is asking who can mediate between him and GOD because Job wants to be heard. In Job chapter 17 you can see his attitude is now changed. He wants to plead his innocence and also asks GOD to defend him when no one else is going to. Job is getting mockery and judgement not help! Today’s takeaway hits home. In Celebrate Recovery there is a sense of comradery and accountability. These go hand in hand. When a fellow Christian is down, the right words or right silence makes a difference whether someone bounces back from despair or plunges further in. GOD’s love is never ending for us, we should pass this great gift to others. Amen, Ralph! Your comments are spot on!